This year (2018) is my nineteenth year in my real estate career. Six years as marketing agent, twelve years as "hands on" Business Owner and Principal and the past year as Principal for our new owners. Coromandel Beaches Realty have meant total commitment to my Harcourts Whitianga office team and later to Tairua and Whangamata. I am immensely proud to be Harcourts, I take great satisfaction from the huge success of my agents. We have made ourselves accountable to our clients giving credibility, confidence and trust, and have a proven record with our testimonials and repeat business over the years. Our strong market share over the past years is recognised and has been very consistent, remaining steady. For me personally, I am dedicated to real estate. I enjoy my involvement with Harcourts and am really thankful this opportunity for a lifestyle change came my way! Ann really enjoys the challenge that real estate offers, finding homes to suit people’s needs and negotiating successful sales eventuating in happy clients. 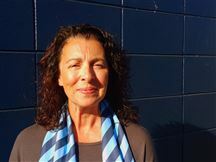 Ann has 22 years in real estate in Whitianga and can quite confidentially say she has good local knowledge of market trends and all aspect of property sales. She has watched the town grow and enjoyed being part of that growth. She has a great sense of humour, an extensive client base bringing in repeat business and referrals from satisfied customers. She is an extremely knowledgeable member of the Whitianga sales team, often with the buyer for your property up her sleeve. A straight shooter you can trust Ann with your real estate sales inquiry. Dave joins real estate after a 29 year career with the New Zealand Police. 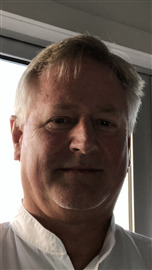 A family man with 4 adult children, with wife Dayle he has been involved in business as an owner, operator and director since 2000 and involved with her real estate career since 2009. An avid sportsman, spear fisherman and fisherman he can relate to people from all walks of life. His passion for real estate, being a property owner, developer, renovator and investor leads him to join the industry as both a sales consultant and business owner, and to share his enthusiasm and vast knowledge with people of like mind wanting to invest in this outstanding area. He brings skills to the industry in marketing, sales, communication and negotiation. With a high level of integrity and business acumen you will find Dave easy to like and trust. Please don’t hesitate to give him a call. Katrina is an experienced real estate agent with a proven track record over the past 14 years. She thrives from meeting new people, new cultures and relates superbly to people from all walks of life. She has an extremely strong local contact base and extensive property knowledge. Her clients attest to her exceptional communication skills, providing great market feedback through their campaigns and the sound advice she gave to gain a successful result. She is honest and conscientious with a positive outlook on life. Katrina is readily able to be contacted to answer your queries. She is prepared to go the extra mile to sell or get you the property you want. An enthusiastic resident of Whitianga for the past 16 years she thinks it is a fabulous place to live. Please contact Katrina to obtain sound positive information about Whitianga real estate. Mandy started her Real Estate career in 1994 as a sales person in Huntly and the surrounding Waikato areas. 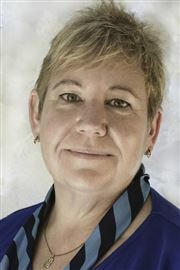 She joined the Harcourts Group in 2009. In 2014 she took on the challenge of Sales Manager/Marketing Consultant in the Ngaruawahia office. Her family and friends have been familiar with the Coromandel Peninsula for over 25 years, enjoying holidays in their beach home in Pauanui. So the decision to settle in Whitianga was easy as they have watched the towns growth. Over the years she has gained valuable knowledge and has progressed through the changes of the industry. Her high standard of professional commitment will give confidence to all clients and customers that choose to trust Mandy with all their real estate transactions. Marie has been in real estate for the past 14 years. She is wonderful with people demonstrating calm, reassurance and understanding with their needs. As a result she derives great satisfaction from assisting her clients to sell and buy property and has developed lasting relationships with her clients. Her extensive knowledge with respect to selling both residential, commercial and rural properties on the Thames Coromandel Coast ensures you a sound choice. She will be challenged, rewarded and enjoy working with you. Please do not hesitate to call Marie with any real estate enquiry you may have. We guarantee you a friendly knowledgeable, caring response. Noelene is a professional, conscientious, successful Award winning Sales and Marketing Consultant. She is interested in people and keen to help in any way matching people to property. Noelene is passionate about building relationships on trust. 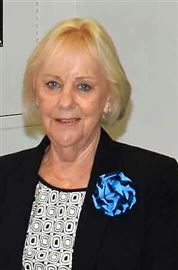 A resident of many years she is passionate about the Whitianga seaside environment with its friendly caring neighboring communities. 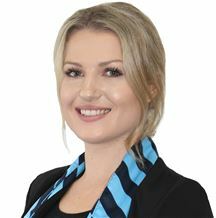 Noelene has a positive attitude on life and enjoys making the most of her outdoor activities, her sound reputation, excellent profile and good promotional tools will help you to achieve a successful real estate conclusion. Here’s your opportunity to now have Noelene’s real estate experience work for you. Please don’t hesitate to contact her. 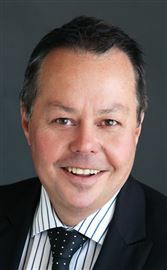 Peter has a highly proven track record in real estate, a sales award winner of 20 years. 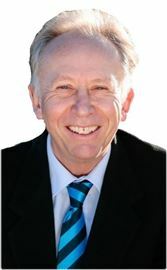 He is the consummate real estate area specialist thriving in the Waterways environment of Whitianga where he has lived and played since 2007. In the past 12 months he has sold 11 of the 13 canal front properties and enjoys getting great result for owners and purchasers alike. As a trusted professional he is helpful, friendly, efficient, well-informed, a sound problem solver and reportedly goes well beyond the call of duty. We suggest you give Peter a call for satisfaction with any of your real estate inquiries. In his own words whether buying or selling, Rob looks to offer you a tasty smorgasbord of ingredients carefully blended into your whole SOLD experience... all served up with a generous doll up of great personal service and a little dash of humour! A recipe for success! For Rob it's about passion... for real estate, our vibrant Mercury Bay community and our unique Coromandel lifestyle! His family have lived here for many years now and quite simply... ‘they love it’. His real estate philosophy is straightforward. Provide professional personal service and back it up with... the Harcourt's brand... the team… the evidence... plus the truth... and lots of it! Selling, buying or moving home is one of the 5 most stressful things we ever do in our busy modern lives and his goal is to deliver you the most comfortable, stress-free, successful and rewarding experience possible. You will be impressed if you contact Rob with any real estate query. 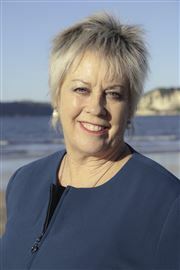 Karen has been with the Harcourts Whitianga office for fourteen years. She is an expert office administrator and is the person at the front counter who will happily greet you and assist you with your inquiry. 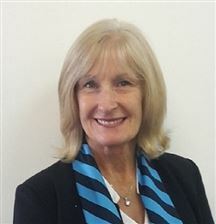 She applies her years of experience, passion, people skills combined with strong organisation skills to support the thriving Harcourts Whitianga office. Doer Upper on Golden Mile! Empty And Ready To Go! Reach For The Secret . . .
First Home Buyers Must View! Classy! Too Good To Miss! Real Kiwi Holidays . . .
Bach'n' At Brophys . . .
11 Out of 10. WOW!